Judy Wilson has been with Indian Affairs for three years, where she oversees the Environmental Compliance and Environmental Management Systems (EMS) programs for the Assistant Secretary, Indian Affairs (ASIA) and Bureaus of Indian Affairs (BIA) and Indian Education (BIE). She co-chairs the U.S. Department of Interior's Sustainability Council Technical Working Group on Environmental Compliance and EMS, and developed an environmental compliance audit performance indicator tool, which will be tested across the department this year. 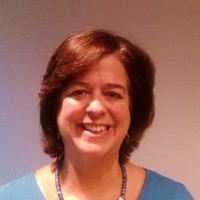 Before joining the BIA, Ms. Wilson spent 20 years as a marine biologist and environmental management and compliance specialist at the Department's Minerals Management Service, overseeing threatened and endangered species research, protection and mitigation related to offshore energy development on the U.S. Outer Continental Shelf. Ms. Wilson has a M.S. in Marine Biology and has completed all-but-the-dissertation for a Ph.D. in Environmental Science and Public Policy.